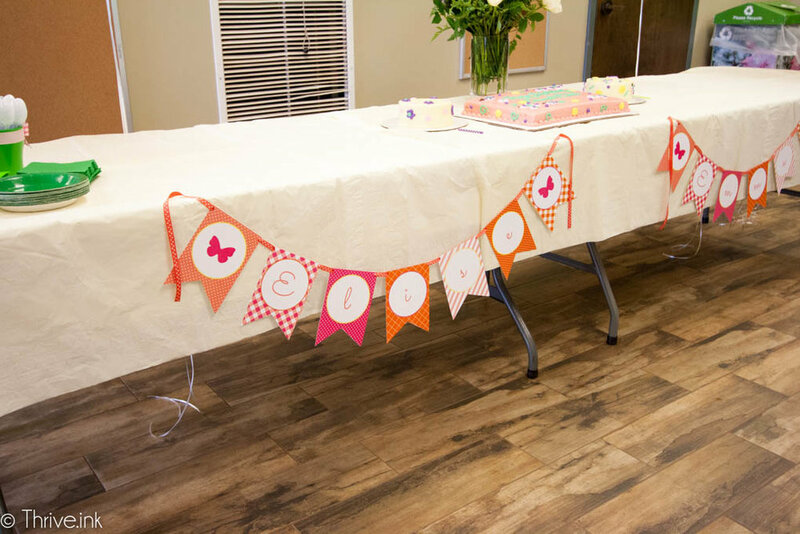 I am so thrilled to share the Moana birthday party that we designed in December for a sweet little girl who turned 5 years old! 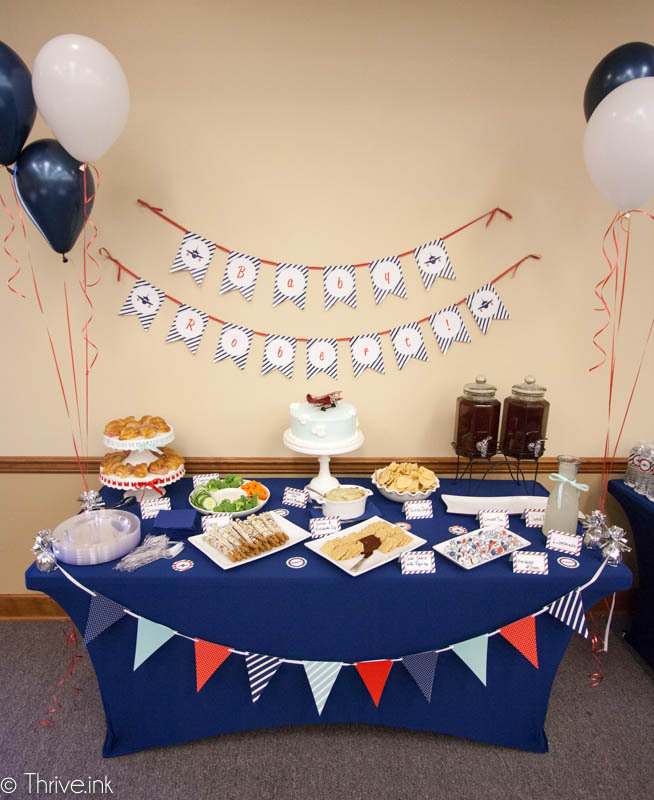 This party theme was so fun and I love how it turned out! The venue was Shakalaka, a trampoline arena here in Huntsville, AL. The kids were able to jump and play and work up an appetite for some birthday cake! The party was held in one of Shakalaka's party rooms. It was so spacious! 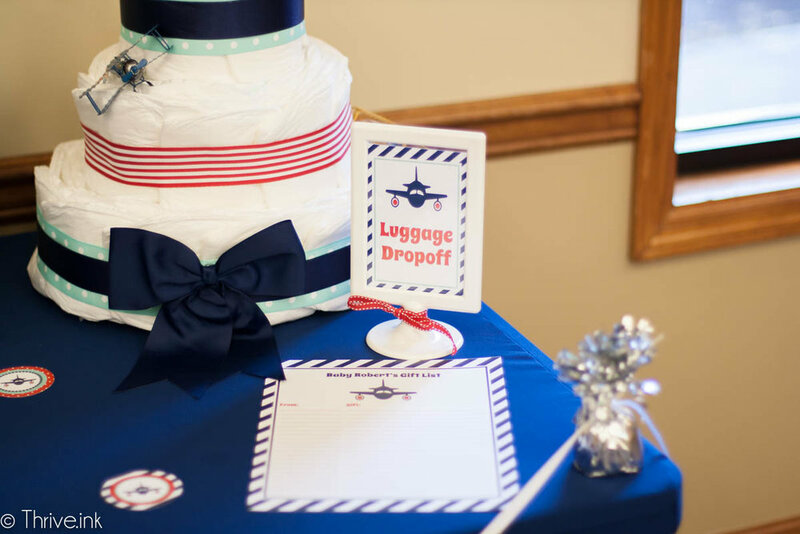 As guests arrived, they were able to put down their belongings and gift for the birthday girl and then it was time for the kids to go jump to start the party! Behind the food table we added a fun bamboo screen to lend to the Hawaiian/Moana theme. In front of the screen is a custom banner I designed for the birthday girl, complete with hibiscus flowers and pineapples. We created a kakamora from a real coconut for one of the party games, but until they used it for the game, we centered it on the food table. The kids loved it! 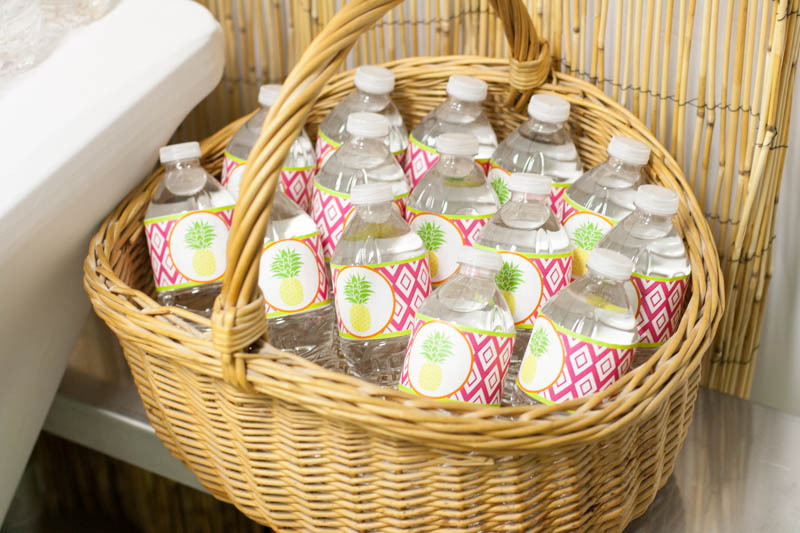 Guests could choose from bottled water, lemonade and iced tea to quench their thirst. 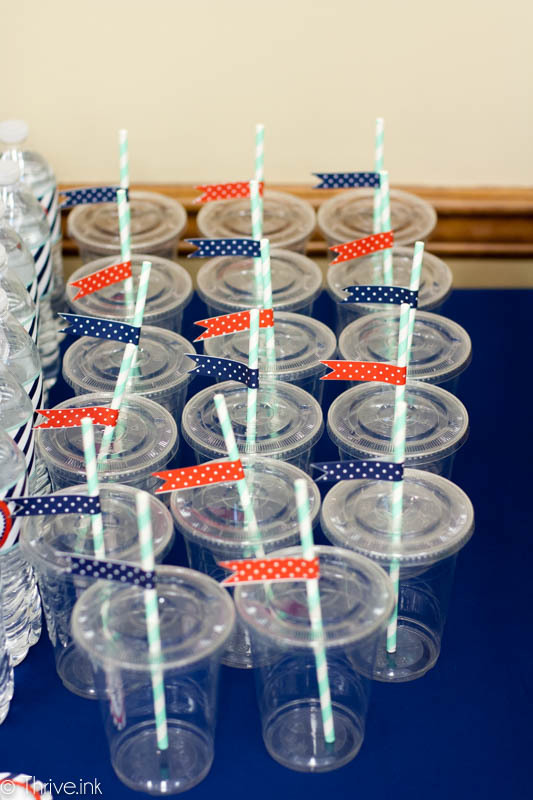 We added party cups with reusable straws and coordinating straw flags I designed. 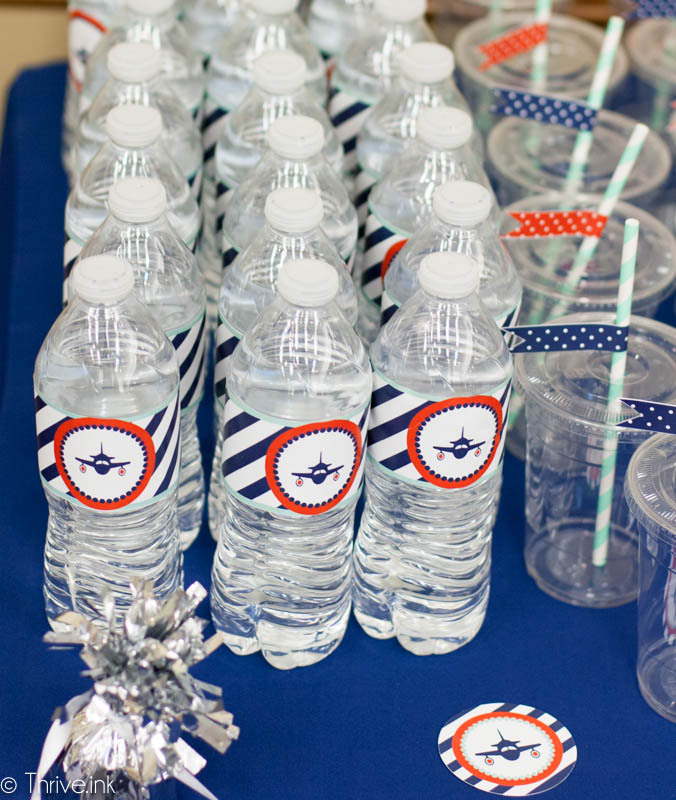 I created juice box labels and water bottle labels with the party theme in mind. 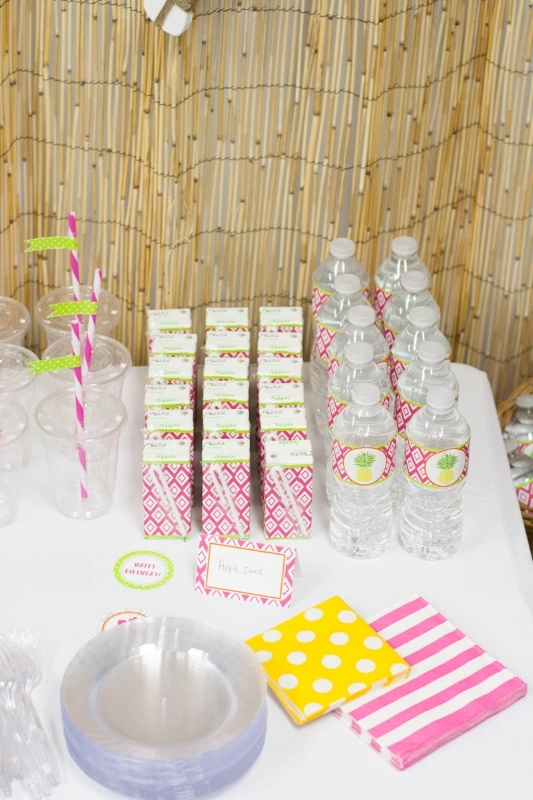 We had plenty of the apple juice boxes for the kiddos to have during the party. I always include food label cards at parties as you never know what people are allergic to. It's also a fun way to carry the color scheme through. 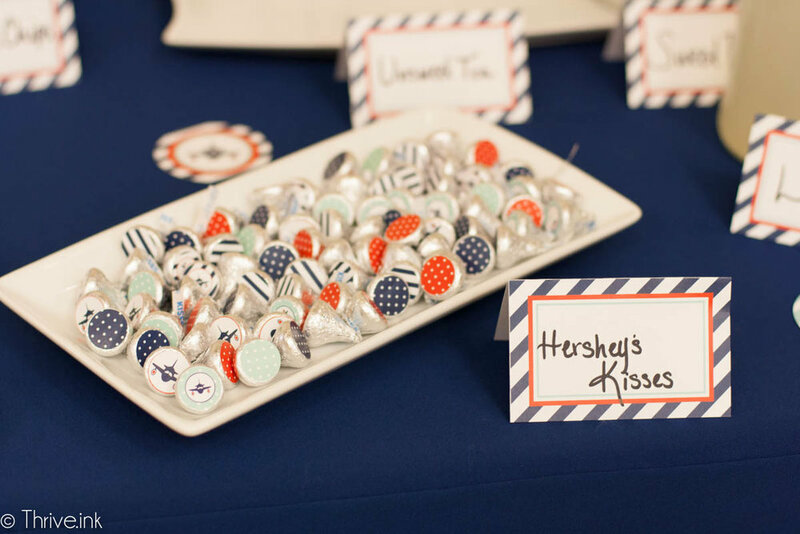 We also had coordinating confetti I created on each table. We recreated Maui's hook for the party and set it out for the kids to play with and pretend to be Maui! 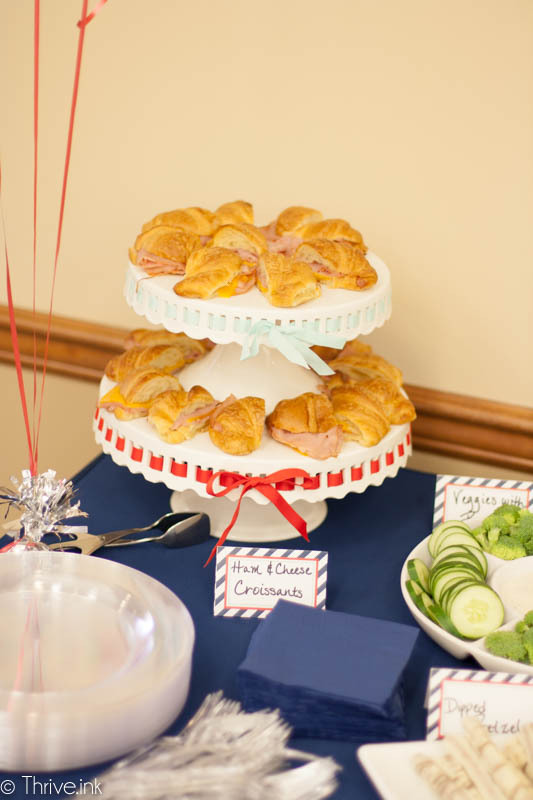 It was such a fun party prop! 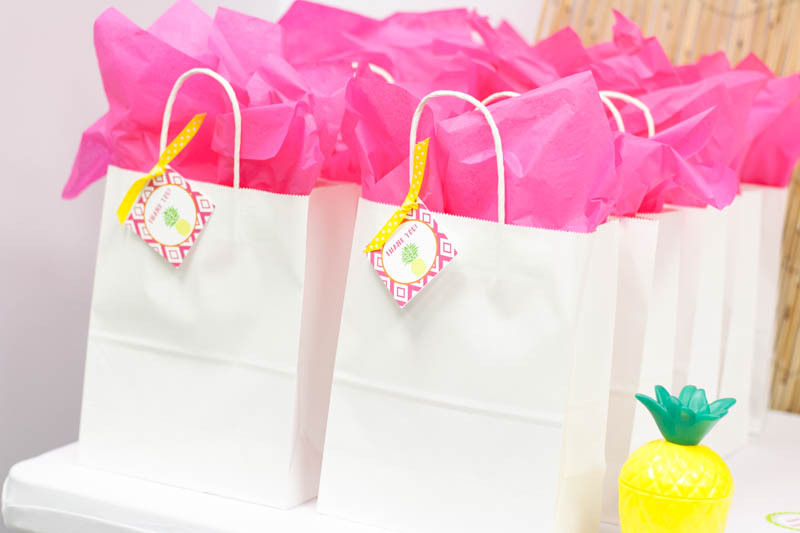 Our favor bags each included a pineapple cup like the one shown above for the kiddos. We added "Moana's boat" in the corner of the room for the kids to be able to play in. :) My sister free painted the design onto the sail! She is incredibly talented. 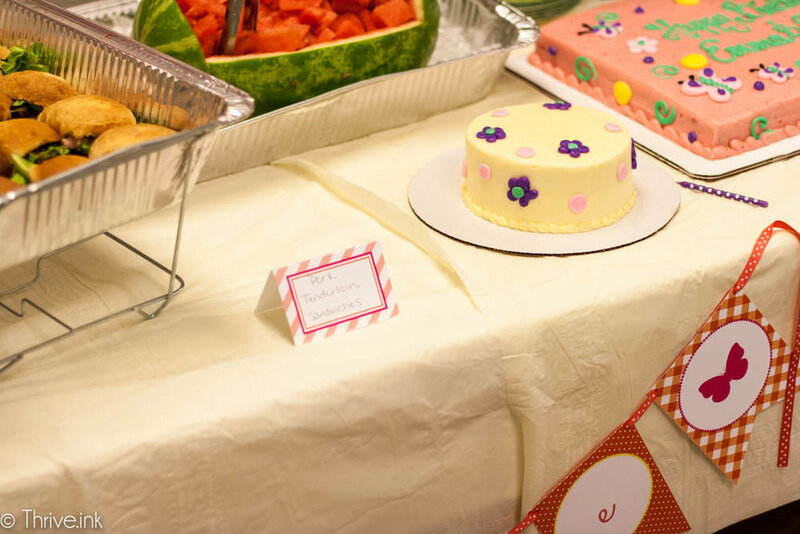 Once the kids finished jumping, they came up to the party room for snacks, cake and games! This cake was seriously amazing! It was so perfect for a Moana party! It was made by Veneranda Cake Art. I just knew the kids would love the poster even before they knew it was a game! 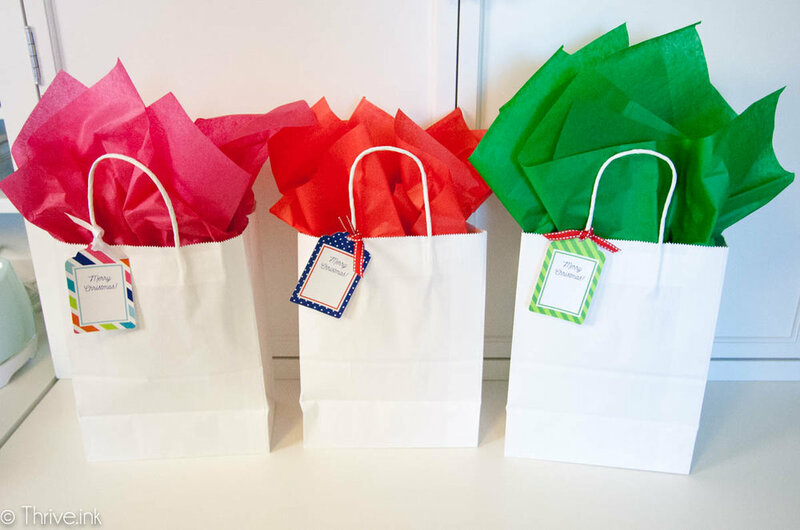 For gift-giving time, I provided this gift list I designed. 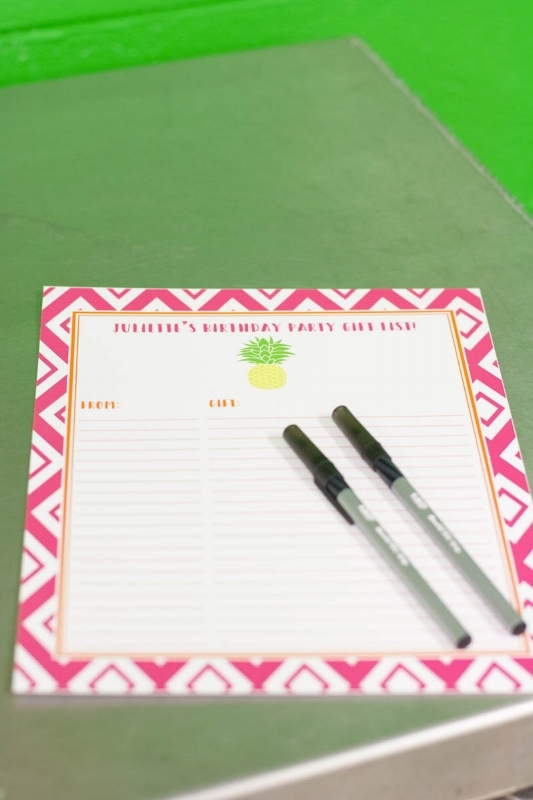 I love these for helping party hosts keep track of who brought what to make thank-you note writing easier. 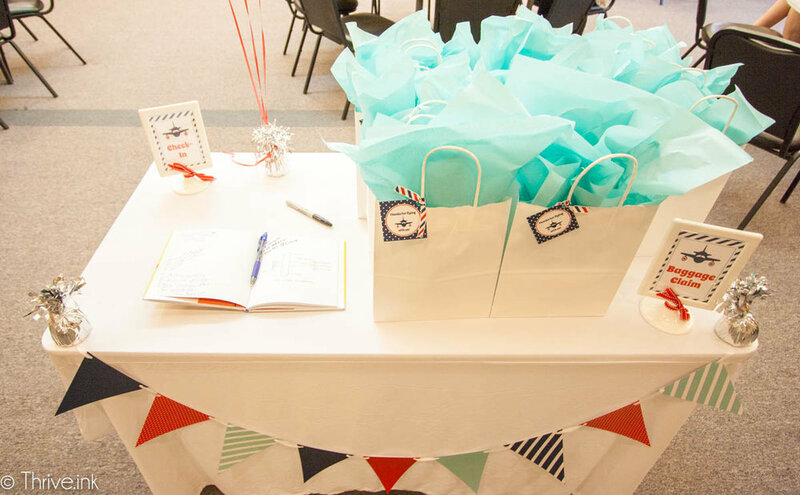 I had the best time designing and creating for this special Moana party! Happy 5th Birthday Juliette!!! 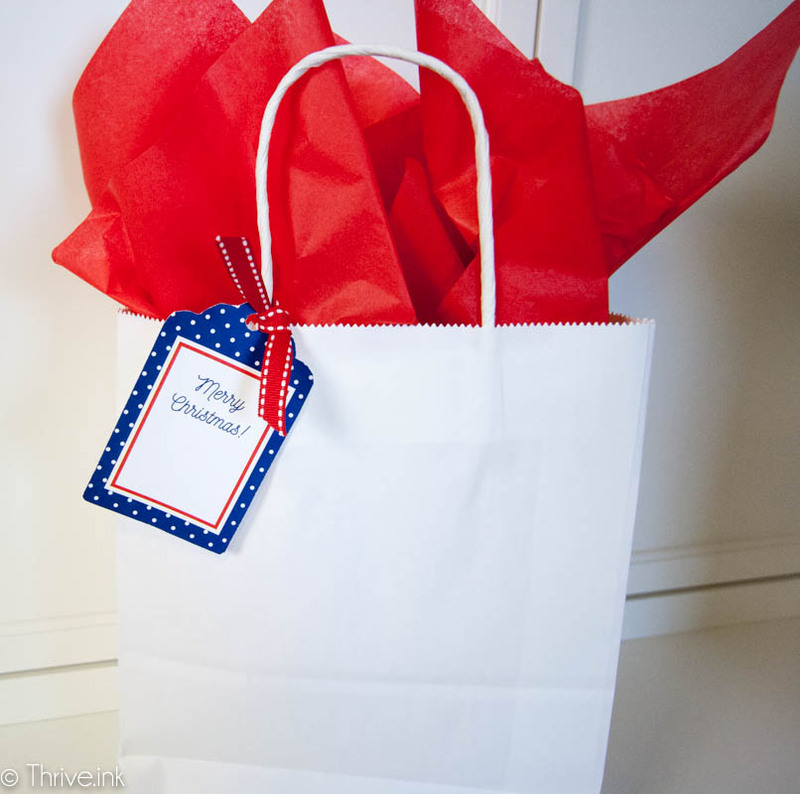 Popping in today to offer you some FREE printable Christmas gift tags! I created these in a few different styles so hopefully you find one you like (or all of them)! Thanks for reading and following me! 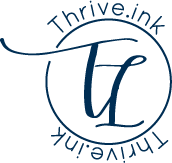 Follow me on Instagram @thrive.ink for future freebies! Are you hosting Thanksgiving dinner this year? Then I have a freebie for you! 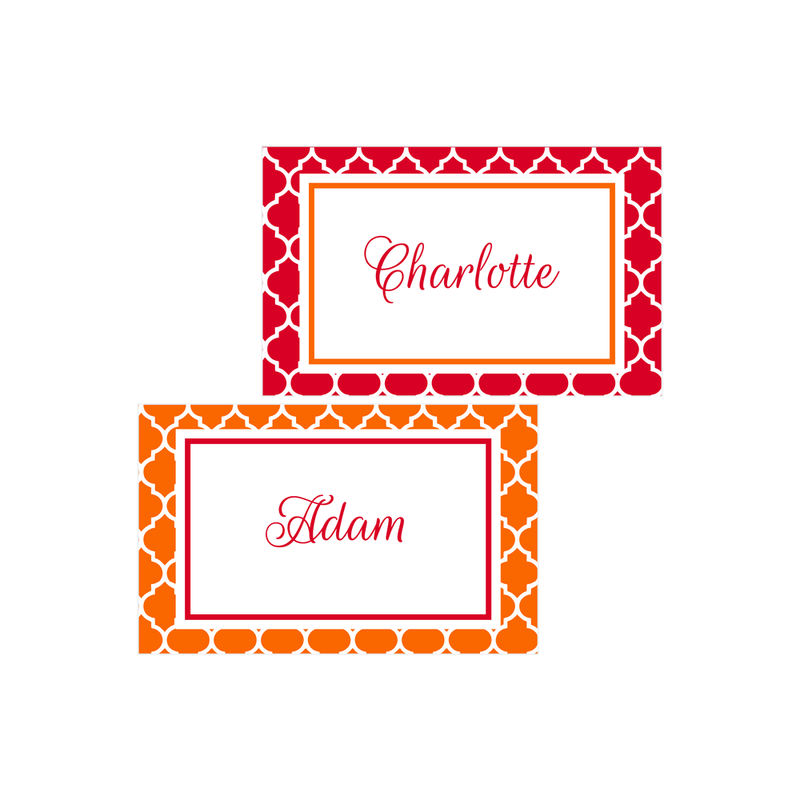 As a thank you to all my dear readers, I designed these Fall themed place cards/food label cards that you can print out for FREE and use on your Thanksgiving table! Thanks for coming along with me on my event planning journey! I hope you enjoy the freebie and if you're cooking, I'm putting good vibes out there that everything finishes at the same time! :) Isn't that always the goal? 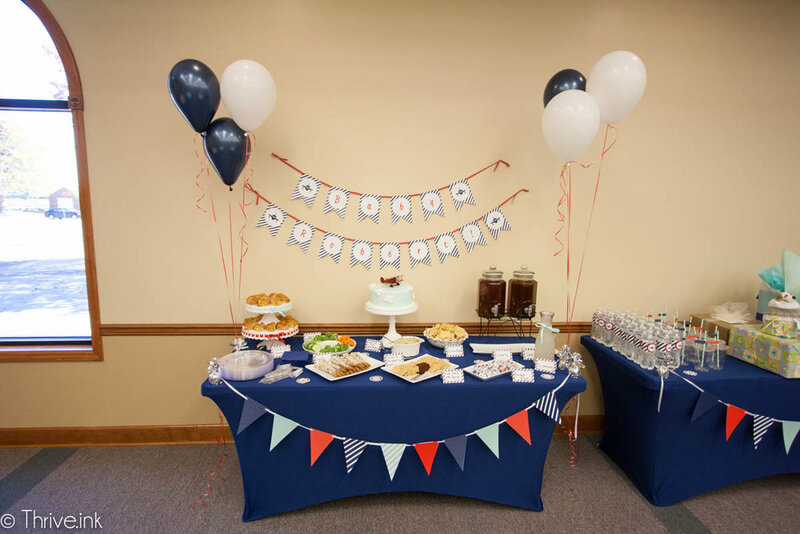 I had the privilege of working with a dear friend on her daughter's 2nd birthday party! We had a great time and the party was beautiful! My friend had her daughter's party at our local Botanical Garden's Butterfly House. 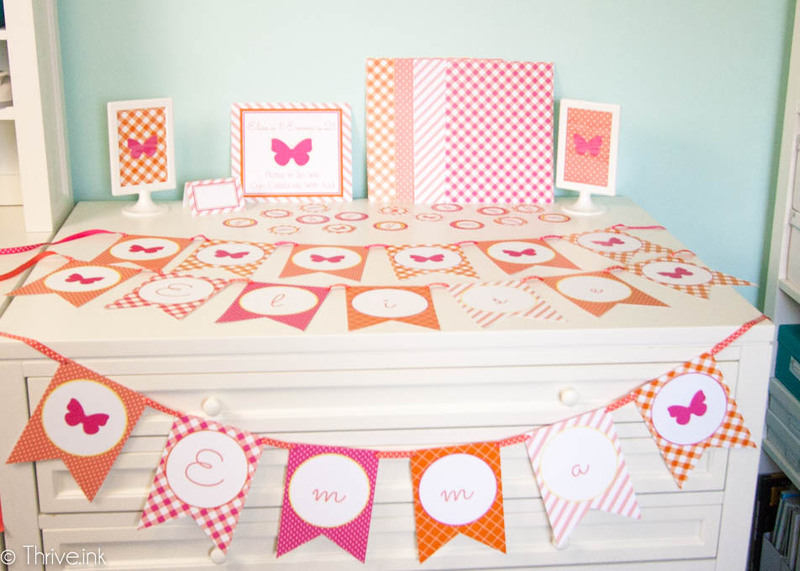 With the venue selected, I set out to create some butterfly printables for the decor. The party was also for her niece, as she turned 1 around the same time. The tables were decorated with beautiful flowers arranged by a family friend. Underneath I added colorful papers and confetti I designed. I added coordinating food labels to the table. I always use food labels at events as you never know what allergies people may have. The adorable cakes came from Edgar's Bakery. The Butterfly House was amazing and the children were able to go in it and do a scavenger hunt and touch a butterfly! 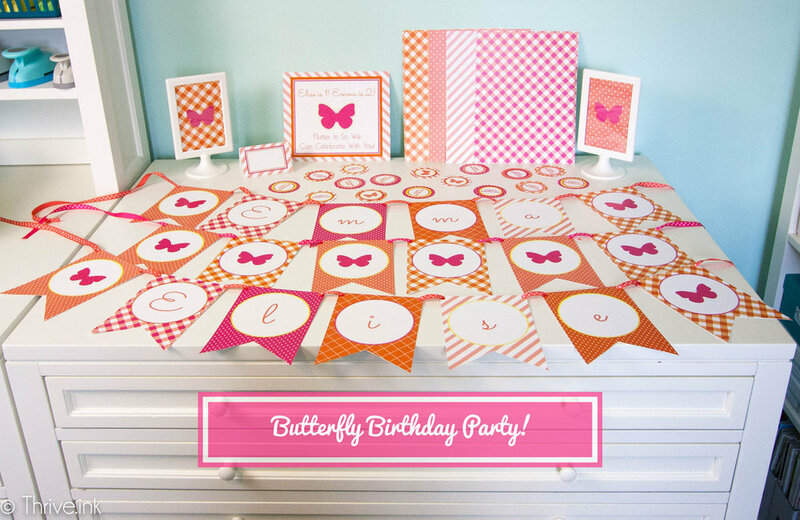 I'm happy to say that the full butterfly party package is now available in the shop here! 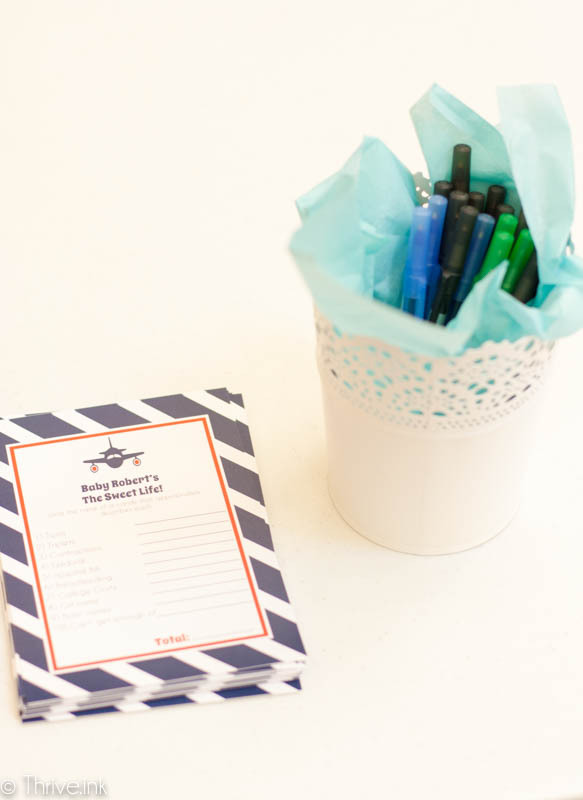 Also available are coordinating invitations and thank you notes.